Sixth Sense — Moey Inc. In this interactive, visitors are invited to play a series of number games. 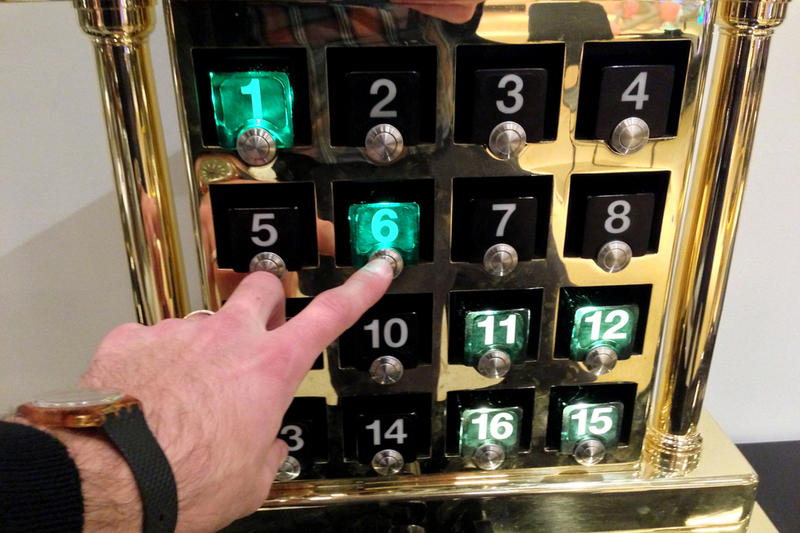 They add up numbers by pressing buttons on one of two grids. The goal is to arrive at a certain sum by selecting the right combination of numbers from each row or column. Sixth Sense was created by Moey in collaboration with the MoMath design team.